Russel Rabbit Tasty Mix is nutritionally balanced and suitable for adult rabbits of all shapes and sizes. Oxbow’s complete and balanced mouse and young rat food is formulated to deliver optimal protein, fat and energy so your pet thrives. Oxbow’s complete and balanced young guinea pig food is formulated to meet your pet’s unique nutritional needs. Oxbow’s complete and balanced young rabbit food is formulated to meet your pet’s unique nutritional needs. Oxbow’s complete and balanced adult rabbit food is formulated to meet your pet’s unique nutritional needs. Oxbow’s complete and balanced adult rat food is low in fat and includes exact levels of key nutrients to support daily function and performance. Oxbow’s complete and balanced chinchilla food is formulated to meet your pet’s unique nutritional needs. 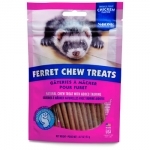 our ferret will love these crunchy, natural treats made with single sourced, whole animal protein. 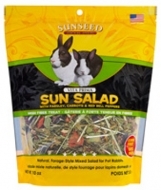 All natural forage style treat for rabbits in all life stages! 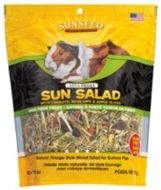 All natural forage style treat for guinea pigs in all life stages! Oat Hay has a great taste and is low in carbs. This high fiber, low protein grass hay will add both fiber and excitement to your small animal's daily diet. Orchard Grass will satisfy any sweet tooth. It is a high fiber, low protein grass hay with a sweet smell. 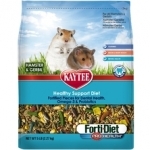 This grass hay makes a perfect addition to your small animal's daily diet. Oxbow Alfalfa Hay is a high-fiber legume hay with the same long-strand fiber found in grass hays, but with more protein, energy and calcium. Fun, trail mix style treat with delicious mealworms & berries! High protein treat designed specifically for hedgehogs that encourages natural foraging instincts. Made in USA!